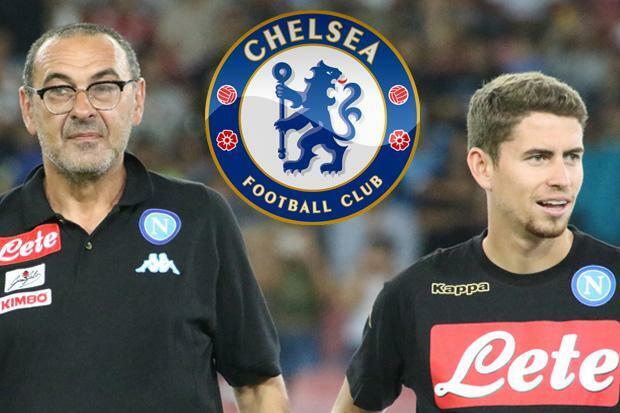 Chelsea are on the verge of completing a double swoop for Napoli pair Maurizio Sarri and Jorginho. The pair will join, according to Fabrizio Romano, within the next couple of days, for a combined cost of €65m – €8m for the coach and €57 for the midfielder. And it is stunning move, there’s no doubt about that. Jorginho not only looked like he was going to Man City, he looked like he was going there weeks ago. The fact that he’s chosen Chelsea ahead of them is a really astonishing development, and one that can give Blues fans worldwide renewed hope. The Sarri move always looked likely, but so little progress had been made that plenty of fans were justifiably wondering if it would ever happen. But these sudden leaks from Italy in the last 24 hours prove that it was only a matter of time, and also prove that the coach has serious pulling power for getting his former players in.